Publishers in the broadcasting and newspaper industries have a unique position in today’s online video landscape. They have to report the news and distribute it in a way that makes it easy to generate revenue, while often using the bare minimum of resources available. Reporters frequently have to perform multiple roles for each story and its supporting content. They have to write copy, shoot and edit the video, and ultimately publish it to their local news website. It’s imperative then, for publishers to find additional sources of revenue for each piece of video content produced. Website display ads are no longer enough to generate the revenue needed by news publishers. That’s where Field59 can help. 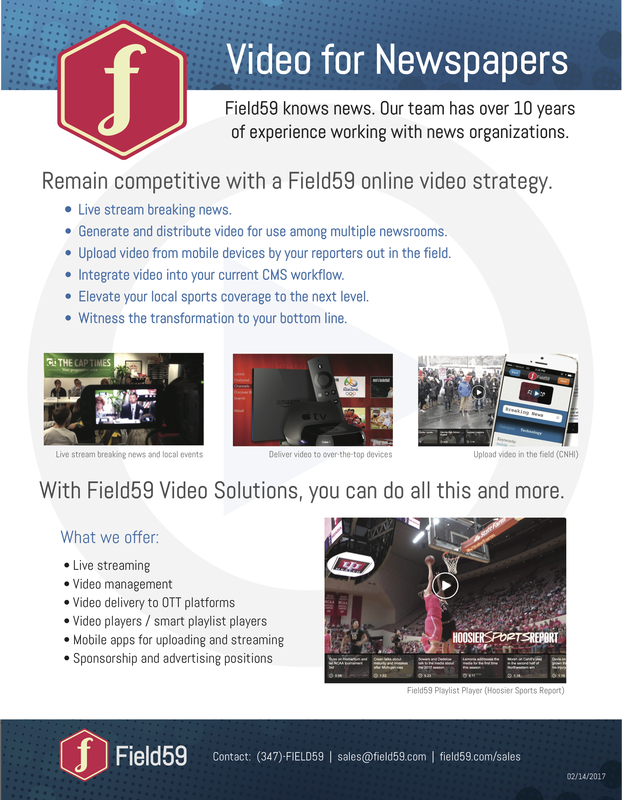 Field59’s video system is uniquely suited to provide a way to upload, manage, store, edit, view, and live stream video content. It also has a way to deliver video to many destinations capable of earning additional revenue. 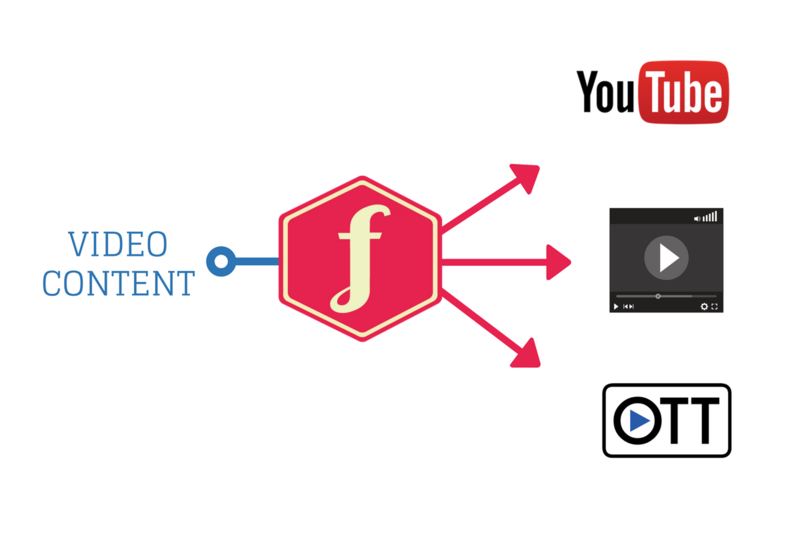 Where once video content’s end destination was a website supported by display advertising, now that same video content can also be delivered to additional revenue generating destinations using the Field59 video platform. For example, Field59 can stream content to YouTube Live and other platforms simultaneously, and send video directly to multiple accounts where publishers can participate in YouTube’s advertising revenue-split model. Field59 can also send video to the Field59 video player, where publishers can keep 100% of revenue using ad servers like DFP. And finally, there are several ways publishers can generate revenue by sending video to apps for OTT devices such as Roku, Apple TV, and Amazon Fire TV. We save you time and and make it easy to get your online video out to your entire audience, across all platforms. Let’s talk today about your online video goals and how we can help you achieve them.